Get in tune with the best! A canned tune for your Inertia heads and camshaft set up is customized for your engine build. We will work with you on datalogging your new set up and create a tune for your vehicle. Canned tunes will have unlimited revisions based on your logs. Custom set ups involve a lot more detailed tuning. Based on your datalogging, we will revise your tune as many times as it takes to get it right. VVT tunes are also more involved and require more time than tuning on non VVT engined vehicles. We have the knowledge to tune your forced induction or nitrous set ups. These types of tuning may be highly involved and may require real time tuning via a dyno. Please contact us for more details on tuning these type of set ups. 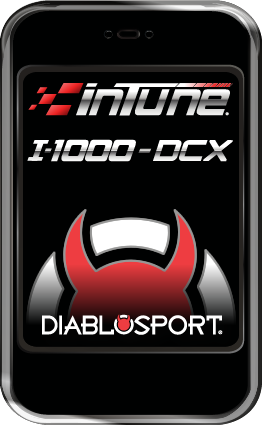 Any "Real Time" tuning (e-mail while on the dyno, or in person tuning) will be priced on a case by case basis. This will generally be an hourly fee. For more information on our Tuning, please email Tuning@InertiaMotorsports.com! Expect nothing but the best from DiabloSport when it comes to your HEMI car or truck. No fancy marketing here, just the simple facts. More power, better fuel economy, and many more adjustable features that help get the most from your car or truck. Copyright © 2008-2014 InertiaMotorsports.com. All Rights Reserved.